You have been judging and want to know how you can progress through the various panels. How to become an agility judge. What is required to make that transition from trainee to Ribbon trial judge? Did you know a Club can receive a grant if they contract a ribbon trial judge? These Judges can officiate classes at Championship events, except for Senior and Jumpers A. 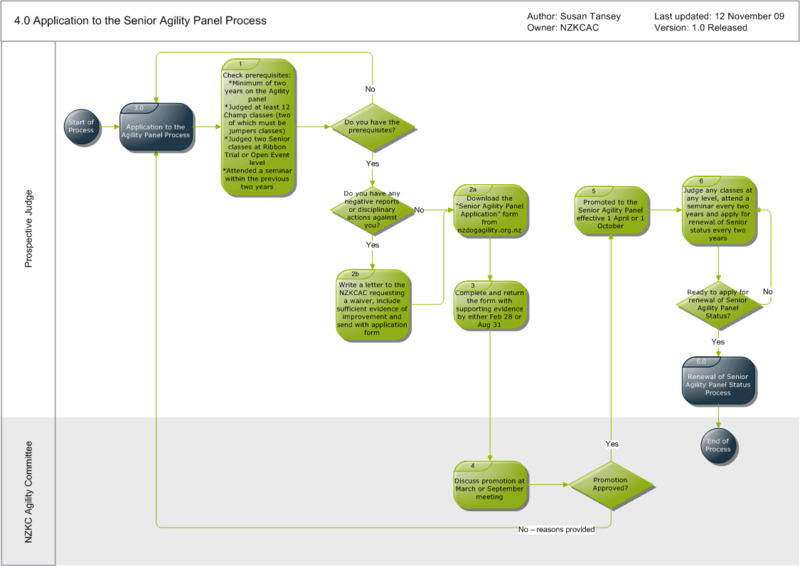 How do you get to be an Agility Championship panel Judge and what do you need to do to upgrade to the Senior panel? These judges can officiate over all classes. Our mentor panel judges provide assistance to the ribbon trial panel judges, and support for all Judges during their careers. How do you become a mentor Judge and what is your role? Download and save the fill-in-able pdf forms on to your computer. Then you can fill them in as you wish, save them and forward them to others.